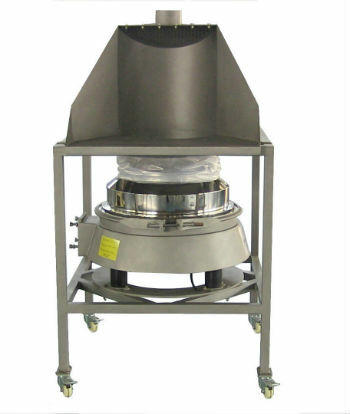 Why Use a Vibratory Screener Before Packaging Fine Powders? When manufacturing fine powder products, such as food additives, pharmaceuticals or industrial chemicals, several tools are available to help you produce a higher quality of product. You’ve already put time and effort into the development of quality assurance systems to meet your regulatory requirements — taking the next step requires an investment in the right equipment. VibraScreener™ vibratory screeners play a number of key roles in processing fine powders. Our machines are used for sifting, sorting, sieving, de-dusting and a number of other tasks that are required before packaging your product and sending it off to market. Here’s why. The biggest benefit to using a vibratory screener before packaging is that it filters out impurities that affect the quality of your product. Your ability to deliver a consistent, high-quality product is critical to the success of your business, whether you’re in food or pharmaceutical manufacturing, chemical processing or any other industry. 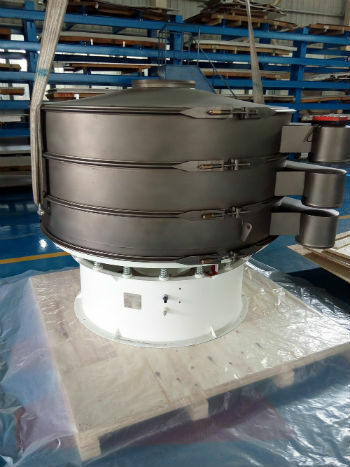 A fine mesh vibratory screen can filter out even the smallest impurities and contaminants, resulting in a better product that will enhance your reputation among customers. Sanitary standards for food, beverage, dairy and pharmaceutical products are more intensive than ever. A high-profile contamination incident can quickly ruin a company’s reputation and put their future in jeopardy. Using a vibratory screener to remove impurities before packaging is just one step in delivering a safe, quality product, but it’s an important one. Many screeners and sifters are designed for compliance with HACCP, FDA and other regulatory standards. A vibratory screener is one of the most effective ways to filter out impurities without losing usable product. Improved quality standards also reduce the risk of having to throw away batches of product that have become contaminated. In industries where high overheads demand greater efficiency, these are important advantages that help you run a more sustainable business. Screen blinding is one of the most common issues when sifting, sorting and packaging fine powders. When the small apertures of a sifting screen become blocked, it affects your productivity and throughput. Ultrasonic vibratory sifting using an appropriate machine can greatly reduce the risk of blinding further down the production line. This results in a product that is easier to handle and less prone to loss while being processed — important factors for any manufacturer. As one of the premier manufacturers of vibratory screening equipment, VibraScreener™ can match you with the right machine for your application. Get in touch with a sales representative today for assistance.